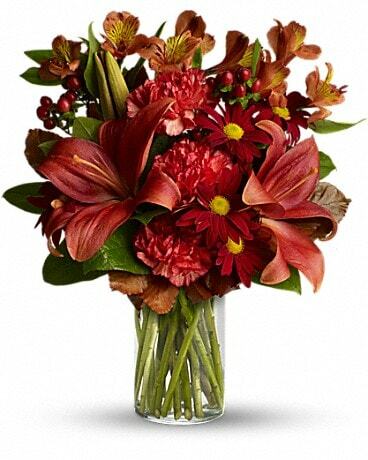 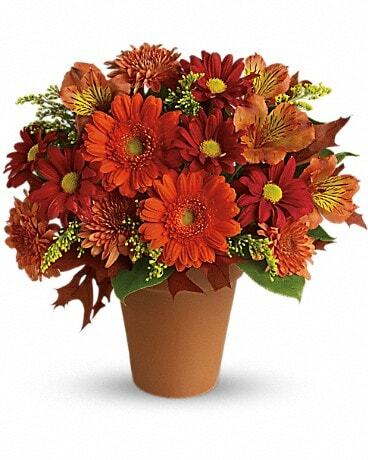 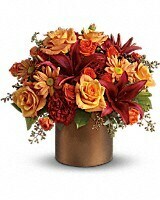 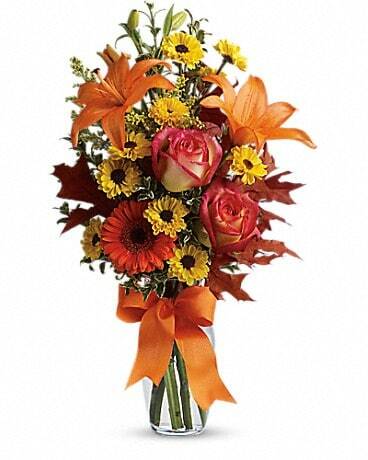 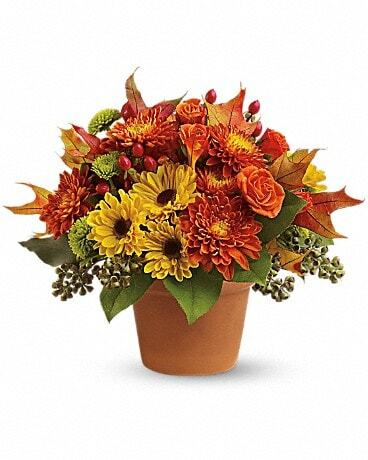 Teleflora's Amazing Autumn - by Woodhaven Florist, Inc. 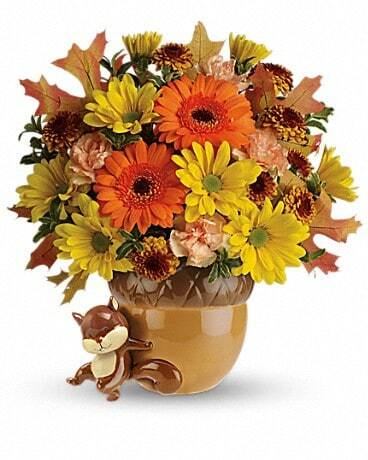 Autumn is an awesome season and it's meant to be celebrated in style. 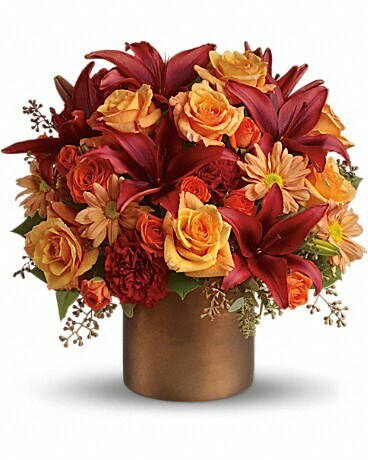 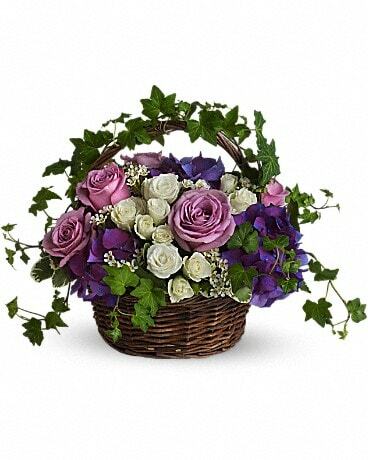 Rich fall hues are on brilliant display in this beautiful arrangement that comes delivered in an elegant satiny brown cylinder vase. 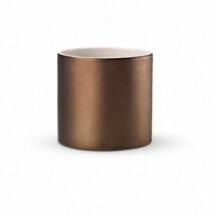 Another exclusive keepsake from Teleflora's celebrated Flowers-in-a-Gift collection, this stylish brown cylinder vase will soon become a favorite - for flowers, bed and bath items, you name it.